We all know Red Dead Redemption 2 was going to be huge, but can anyone have guessed it’d move 23 million copies, though? 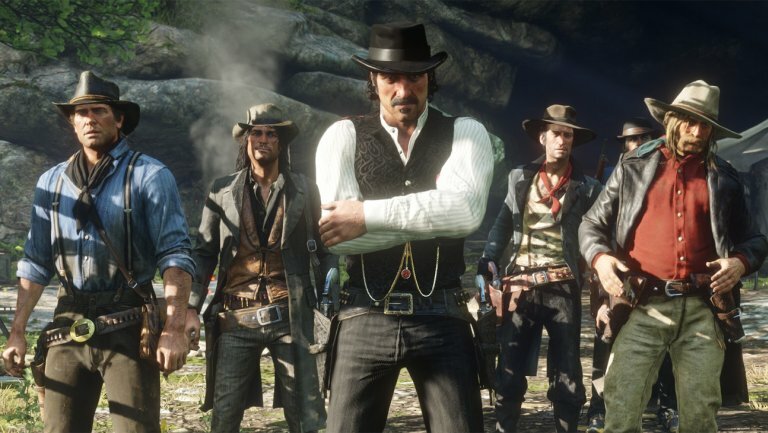 Publisher Take-Two Interactive, which is the parent company of Rockstar Games, states that the Red Dead Redemption 2 sales figures have surpassed the publisher’s expectations. Take-Two has beaten its third quarter revenue targets with Red Dead Redemption 2 spearheading the charge with 23 million copies shipped! Note that this figure is shipped, meaning sold through retailers, but not sold to consumers. Nevertheless, that’s still a very impressive number. Not only did Red Dead Redemption 2 beat expectations, but its online component, Red Dead Online, did so as well. Red Dead Online is said to be trending ahead of how GTA Online was performing during that game’s point in its lifecycle. What’s really exciting is that during December, combined monthly active users of Grand Theft Auto Online and Red Dead Online took Rockstar to a new record. We feel great about it. Obviously the experiences are a work in progress, and there will be a lot more content to come. But in terms of comparing where Grand Theft Auto Online was in terms of engagement at this stage of the game, versus where Red Dead Online at this stage in the game, Red Dead Online has more engagement, is doing better and has a lot more early traction. Which we think is very encouraging. If Red Dead Redemption 2 has the same staying power of Grand Theft Auto V in the sales charts, then Take-Two will be swimming in money well into the next-generation of gaming.